Last night started my first attempt at baking something from scratch since finishing my baking course. Of course, there had to be a casualty along the way. 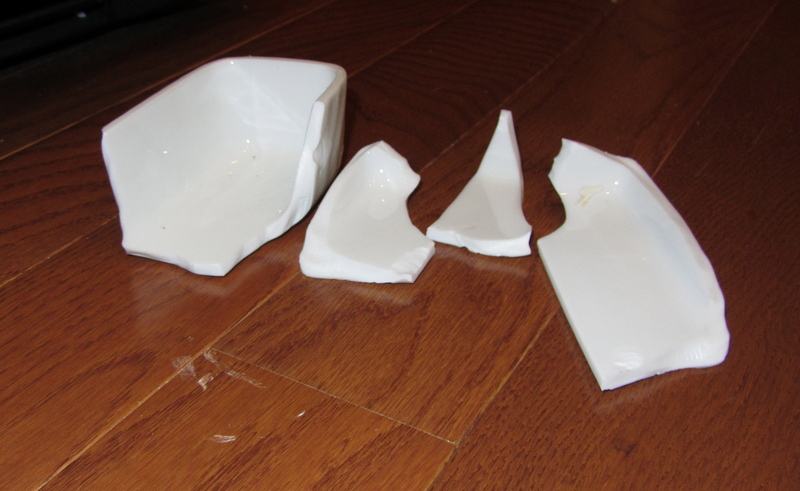 This used to be the lid to my butter dish. It decided to jump from the top shelf of the fridge and left a nice gouge in the floor. These are just the largest of the chunks. The shards that went flying were small and numerous and took quite a while to clean up. It’ll be a few days before I’m comfortable walking barefoot in my kitchen again. Today went better, though. I was fully prepared with the dough and the filling. After rolling out the dough, layering in the filling, attempting (with more or less success) to roll the dough up and cut it (using a secret weapon of dental floss! 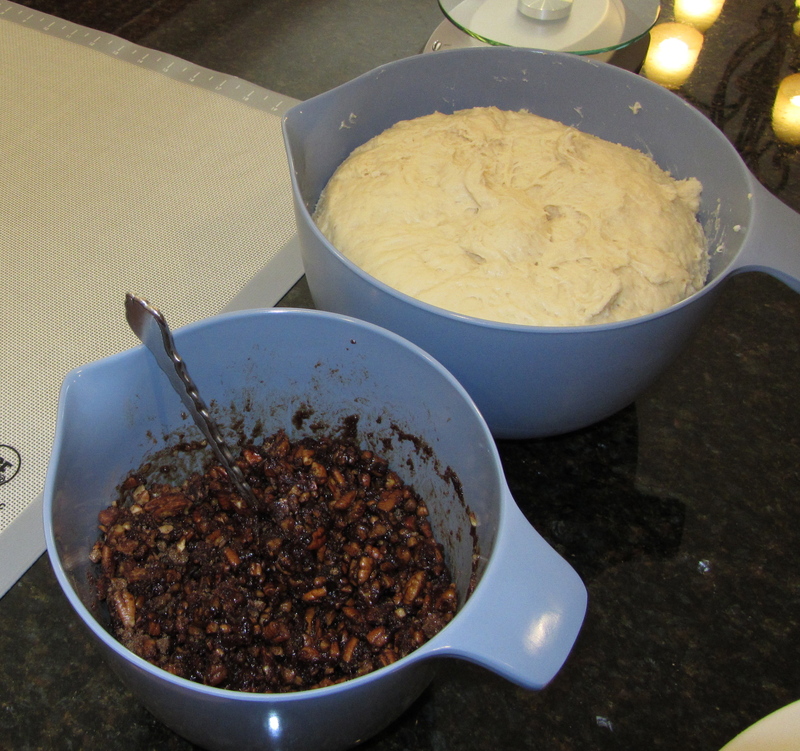 ), I had rolls in pans that were pre-filled with the pecans and caramel in the bottom. Then after a little bit of time to rise and some time in the oven, there were CINNAMON ROLLS! The house still smells wonderful. Next time, though, I think the rolls need a bit more of the caramel in the pan to start, and I want to make an icing for the top. But these are very yum for a first attempt.